Review It can't be very helpful for a manufacturer to launch a new phone amid speculation that the device could be its last. With $1bn written off on its little-loved predecessor the Z10, and the future of BlackBerry so uncertain, the new Z30 has been given a very low-key launch. And yet it turns out to be a very attractive phone indeed. It excels at grownup things, particularly messaging. 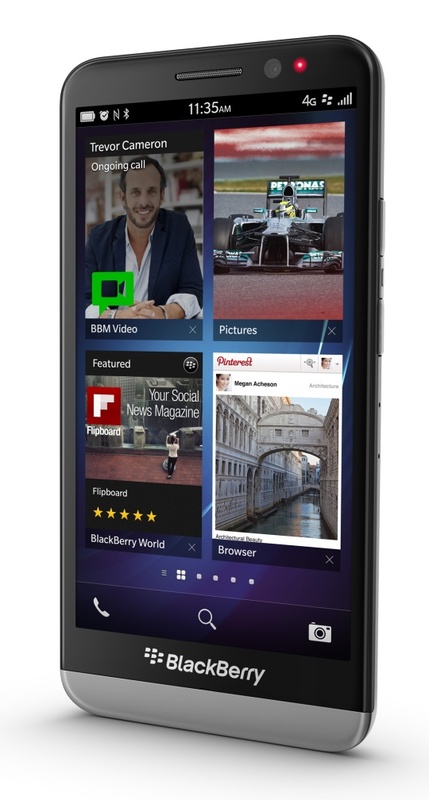 It's excellent as a phone and packs a great web browser; the latter two being BlackBerry's historical weaknesses. Enterprises should appreciate the VPN support and the ability to separate personal and corporate data and apps in the handset, the so-called "Balance" feature. If this is to be the last ever BlackBerry handset, it's going out in style. With a splendid five-inch Super AMOLED touchscreen display and excellent construction, it stands out like a Mercedes in a car park full of Trabants. No cheap plastics here, and the buttons have the firm click of an upmarket motor. 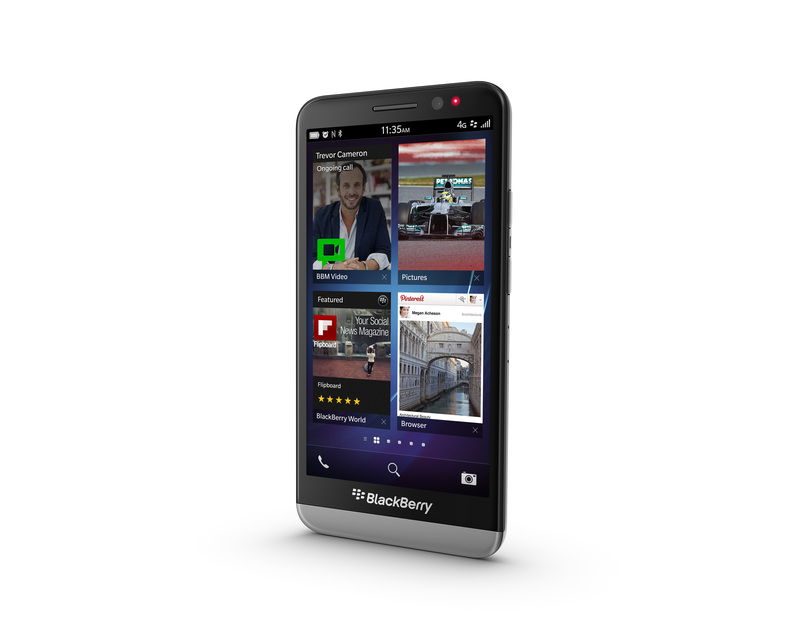 It's also the most powerful BlackBerry and its operating system makes good use of the dual-core 1.7GHz Qualcomm S4 Pro processor and its 2GB of RAM. The hefty 2,880mAH battery also comfortably sees you through a day. On Android you can download AquaMail or K-9 to get similar features, but the email experience is far better on OS 10, and no third-party software is necessary. The messaging app also syncs draft missives with your IMAP server and Exchange accounts. 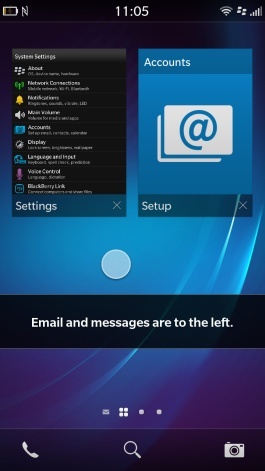 The device is full of convenience features, some new, some familiar to 'Berry loyalists; new in version 10.2 of the installed operating system is a section for priority messages in the unified inbox BlackBerry calls the hub. The software learns over time which messages are "important", and you can set some criteria for default inclusion in that category: all conversations initiated by you appear there automatically, for example, and you can also mark individual messages and contacts as important. Alas some priority criteria available in the beta build of the OS didn't make the final cut. Put down the lawyer ... Not widgets. 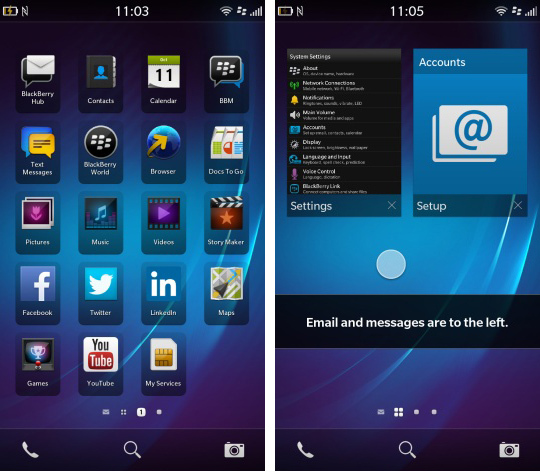 Also new in BlackBerry OS 10.2 is the ability to preview and even reply to incoming messages via pop-up notifications (that resemble slices of toast) without having to open the relevant messaging app. You can also peek at the most recently received messages from the phone's lock screen, which groups the messages by type. Something called "adaptive sharing" is also new; the system learns how you regularly send pictures, files and other data to people, and promotes these popular sharing services in a document-sharing menu. 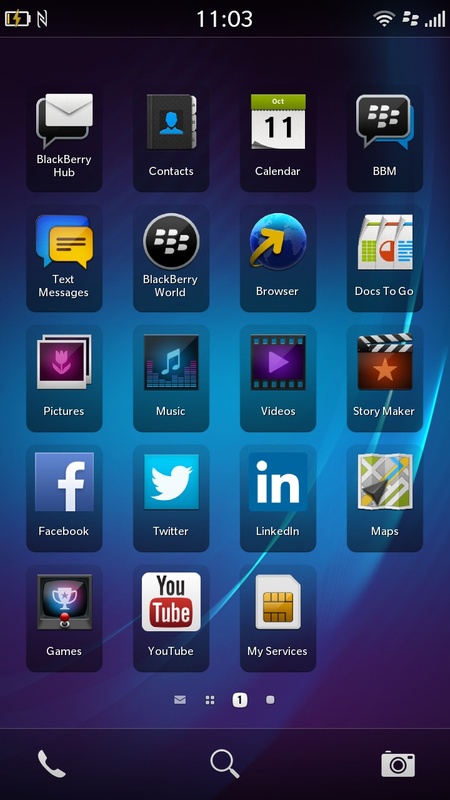 At its best BB OS 10.2 is really quite stylish, practical and gimmick-free. 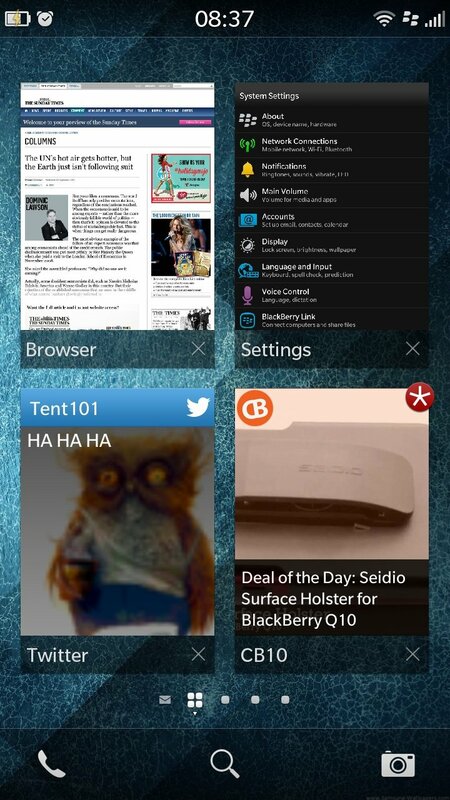 As well as excellent messaging support, BlackBerry OS 10 was released with some very useful productivity features. For example, Evernote was integrated into the Remember app, which aggregates appointments, Exchange todo notes and flagged messages – but the integration was poor, with no support for tagging items nor any sorting. This has greatly improved in version 10.2, and at last the OS has a native standalone Evernote client. Meanwhile, Print To Go drops digital printouts from your Windows PC into the phone cleanly and securely. The default calendar program is very good, too, although the tasteful pastel shades you can apply to individual calendars are all a bit too similar. Next page: Hello? Is anyone there?